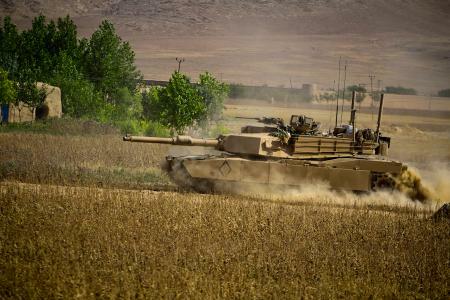 Marines in Afghanistan recently launched Operation Jaws, an effort to root out the Taliban in Zamindawar, an area of northern Helmand province that has been a hotbed for insurgent activity. The operation was headed by 2nd Battalion, 5th Marines, out of Camp Pendleton, Calif., and ran from May 25 to June 9, according to this new Marine Corps news release. They targeted an area of Kajaki district that I wrote about several times while embedded there in April. As outlined in this previous story, Marines had been observing insurgents in Zamindawar for quite some time, and raided it previously.In this case, Marines killed at least 50 fighters and eliminated numerous fighting positions, Marine officials said. The grunts involved braved small-arms fire, mortars and rocket-propelled grenades, but sustained no combat casualties. One interesting footnote: In April, elements of 1st Battalion, 8th Marines, out of Camp Lejeune, N.C., conducted regular surveillance on Zamindawar. However, it was 2/5 that conducted this operation, after arriving from nearby Musa Qala district. As Marine forces in Afghanistan are drawn down this summer, we’ll probably see an increase in combat power spread out in that fashion. Just wanted to say great job. From a greatful citizen. Be safe out there. Omg!! I hate this cell phone!!! That’s LcPl Hodges!! Thanks for the great article, Dan. I served with 1/8 back in the 90s and I couldn’t be more proud of how well our Marines are serving our country and trying to give the people of Afghanistan a chance at a better life. Great job 2/5!!!!! We are praying every night for your safety. We also pray that you all will rely on God for your protection (see Psalm 91). Pray Psalm 91 as your prayer of protection. It is a mighty and powerful prayer! I definitely wanted to make a comment to be able to express gratitude to you for these fabulous ideas you are placing on this site. My time consuming internet lookup has at the end of the day been rewarded with pleasant know-how to share with my pals. I would believe that we site visitors are quite endowed to exist in a magnificent site with many wonderful professionals with insightful guidelines. I feel pretty happy to have used the website and look forward to tons of more excellent times reading here. Thanks a lot again for everything.